At August CrossFit, we put your safety, health, and fitness as priority one. We are a small garage-gym with a FOCUS on QUALITY not QUANTITY. Our staff wants YOU to Be YOUR Best Self, in order to live your life to the fullest. adjective: describes something esteemed or regal; having great importance; respected and impressive. For this reason, we implement the CrossFit Methodology into our training programs. 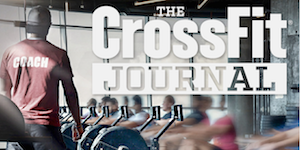 Checkout crossfit.com for a comprehensive details. In a nutshell, we believe that all humans can benefit from the same training philosophy. From your prize-fighters, cyclists, and gymnasts to your police officers, firefighters, and EMTs to your doctors, teachers, and homemakers, our bodies need the same physical competences. The variance is by DEGREE not KIND. Contact us today to set up an appointment to begin YOUR journey to Be YOUR Best Self!